RPW Services Inc. is a plant health care and pest control company that has been servicing the Southern California regions since 1987! We offer treatments for trees, turf, aquatic management, and more. We specialize in services based on Pest Control Advisor and Certified Arborists recommendations. With our knowledge and over 30 years of experience, we offer customized treatment plans for each customer to provide improved results. HLB is a bacterial disease that is spread by the leaf sucking pest, ACP. The Disease causes citrus fruit to become bitter and disfigured, it will also cause the leaves to yellow. 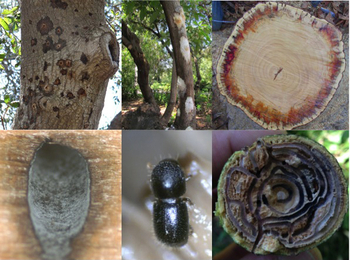 Unfortunately, once a tree is infected with HLB, the disease is irreversible and will eventually kill the tree. Your only line of defense is preventative treatment! If you suspect you have an infected tree please contact the CA Dept of Food and Agriculture at (800) 491-1899 for a free inspection. 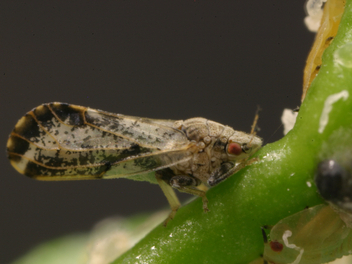 Get all the information you need on this threat at the Citrus Pest & Disease Prevention Program website, CaliforniaCitrusThreat.org hosted by the California Citrus Growers and the CA Dept. of Food & Agriculture. This ambrosia beetle plants its fungal food along the tunnels it bores throughout it's host tree. This effectively compromises the structural integrity of the tree as it has bored tunnels and effectively shut down the nutrient freeway system of the tree, causing dieback and occasionally sudden limb drop. Fortunately, we are able to treat this pest both preventatively and reactively! We have had great success utilizing a variety of treatment methods and combination of materials. Call us today to save your trees! "The trees that make Southern California shady and green are dying. 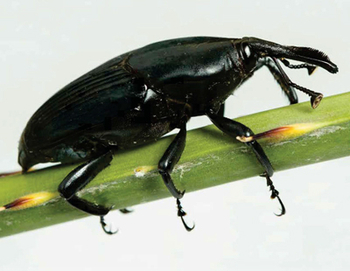 Fast"
"Invasive weevil spreads north, endangering California's palms"
RPW Services, Inc. is licensed with the California Department of Pesticide Regulation and is permitted by the Agriculture Commissioners Office in each county we provide services in.